Inventory for the Equinox as of Sept. 1 was at 53 days -- well below the estimated 87 days for all General Motors brands and the industry average of 71 days. U.S. dealers are hopeful a strike at GM's Ontario plant that produces the Chevrolet Equinox can be resolved before low inventories of the brand's top-selling crossover impact business. Several domestic Chevrolet dealers, including members on the national dealer council, told Automotive News that the eight-day strike by Canadian union Unifor at CAMI Assembly in Ingersoll, Ont., hasn't yet affected business. "We're always worried, especially on a new hot model," said Rick Cantalini, owner of Vandergriff Chevrolet in Arlington, Texas. "The vehicle is selling very well. We really wanted to build inventory, not deplete it." 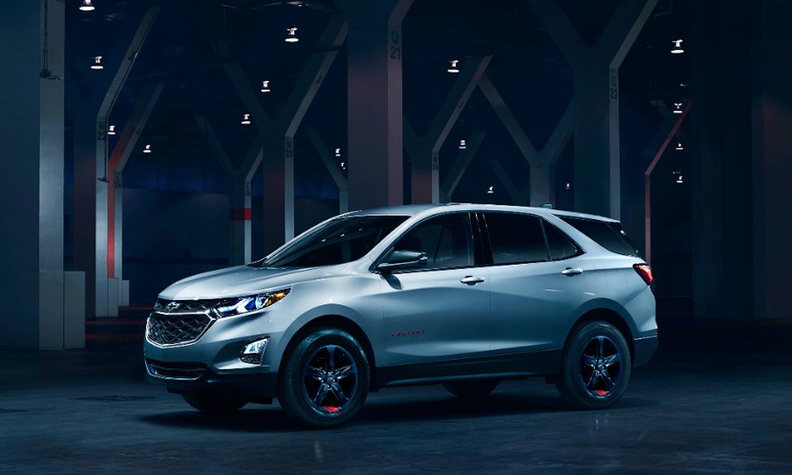 The Automotive News Data Center reports inventory of the Equinox as of Sept. 1 was at 53 days -- well below the estimated 87 days for all General Motors brands and industry average of 71 days. About 60 days is considered a healthy industry level. Days of inventory aren't as available in Canada as they are in the United States. Cantalini and Bobby Breault, owner of Cargill Chevrolet in Putnam, Conn., said their Equinox supplies were around 45 days. "They are selling like hotcakes. People love them," Breault said. "If there's a strike that lasts a while, that's going to hurt us." Randy Marion, owner of a self-named Chevy dealership in Mooresville, N.C., said his dealership has not been impacted by the strike. He said he has not heard of any other dealerships in his region that have been impacted, either. Unifor's strike at CAMI began Sept. 17. On Sunday, union leaders presented a "comprehensive" labour proposal to the company that included a demand that the plant be named the lead producer of the Equinox, which has been a major sticking point between Unifor and GM. Union leaders fear GM could shift Canadian Equinox production and jobs to Mexico, as the automaker did this year when it sent GMC Terrain crossover production from CAMI to a Mexican plant. GM is producing the Equinox at its San Luis Potosi and Ramos Arizpe plants in Mexico, however production is not at the volume of CAMI. The Mexican plants have combined to build 40,017 Equinoxes since April, when production began there. CAMI has produced an estimated 132,388 Equinoxes through August, according to the Automotive News Data Center. GM has been ramping up Mexican production of the Equinox since April. A GM spokeswoman declined comment when asked if the company is further increasing Equinox output because of the strike.